The Dawg Pound turned into the D.O. 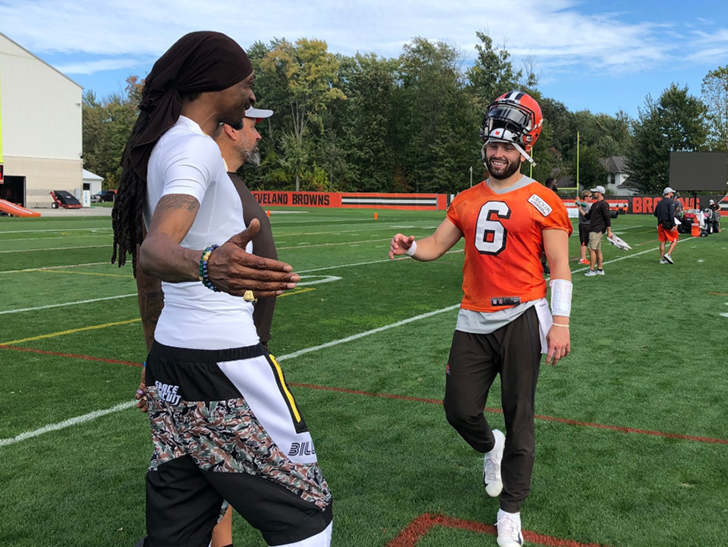 DOUBLE G. Pound on Wednesday … ’cause Snoop Dogg was in attendance to watch Baker Mayfield and Co. at Cleveland Browns practice!! Just one tiny issue here — Snoop is a MASSIVE Pittsburgh Steelers fan … and the Steelers have a rivalry with the Browns that goes back decades. But, It didn’t seem awkward when the rap legend hit up Browns practice in Berea … dappin’ up all the players and coaches as the team preps for the L.A. Chargers this weekend. So … is Snoop trading in his Black & Gold for the Orange & Brown?? Head coach Hue Jackson says he’s been friends with the Doggfather for a while … and took a friendly jab at him for being MIA for the past 2 years. Hey, it’s been a while since the Browns have had even a sliver of success. Let them have their clout.